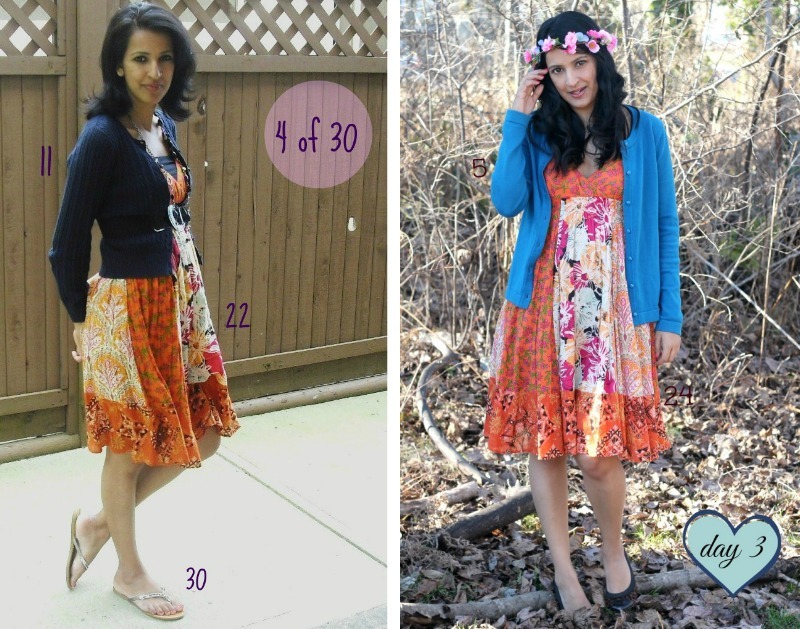 30 for 30 Remix: Take 30 pieces of clothing & remix them into 30 different outfits over 30 days. Why do it? : To feel inspired and creative, to wear all those beautiful clothes that you are saving for special occasions, and most importantly; to make yourself a priority and create some me time. 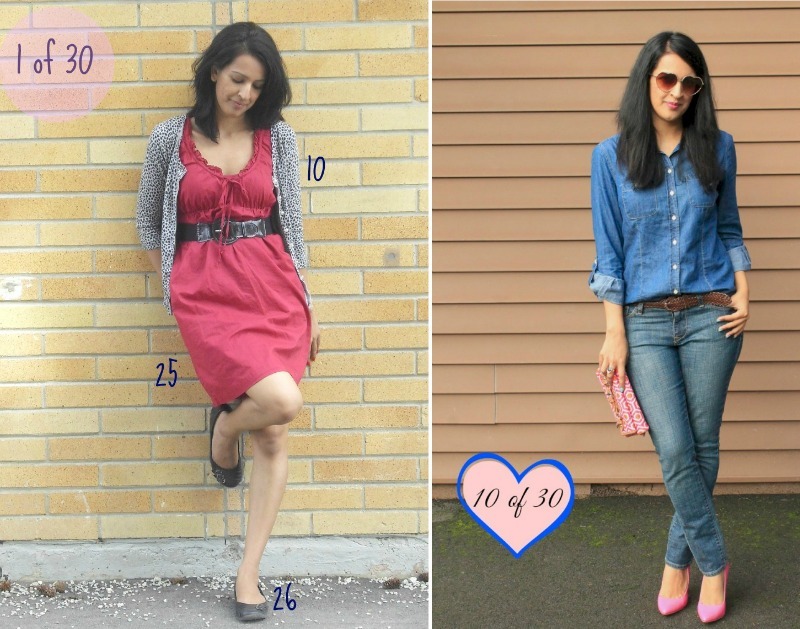 The first time I did the 30 for 30 challenge was in July 2011 when I was just a newbie fashion blogger. At the time I wasn’t really happy with my sense of style (or maybe I didn’t really have a style?). I found it challenging to create 30 ‘blogworthy’ outfits, and totally missed the point some days when I was more worried about what strangers on the internet would think of my outfit, than what I thought of it. Back then I was trying to force myself into some sort of a ‘fashion blogger mold’. I had certain perceptions of what it meant to look fashionable, and I was trying way too hard to recreate the looks that my favourite outfit bloggers wore rather than create my own signature style. However, when we did the Moms 30 for 30 back in February of this year I was pleasantly surprised at how comfortable I felt with my outfit choices. It wasn’t really a struggle, it was fun! I think the big difference is, I now have a wardrobe that I love and really reflects who I am. It’s been a long and slow process going from closet confused to closet confident, and I’ve had to purge a lot of ‘what was I thinking’ and ‘those are never going to fit again’ pieces from my closet, but it was totally worth it. Looking at my closet actually makes me happy now, and there are almost no pieces that I don’t truly love; it’s such a great feeling! So I’m about to embark on my third 30 for 30 on November 1st (and I’d love for you to join me!) What am I planning to accomplish this time? Nothing but happiness! I really enjoy taking the time to get dressed up every day, styling my hair, and playing with my makeup. The old me would feel a little shallow sharing that. Thankfully the new me is loud & proud about putting myself first, and would you believe that change happened because three and half years ago I decided to get off the sofa, out of my sweatpants, and start taking pictures of what I wore every day – and that my friends is why you should join us in the 30 for the 30 too! How to Play: Pick 30 pieces from your closet and mix and match them every day in November. If you want to share your looks, post them to Twitter, Facebook, or Instagram and use the hashtag #moms30for30 so we can all find them and share them! You can also blog about it and link up below. 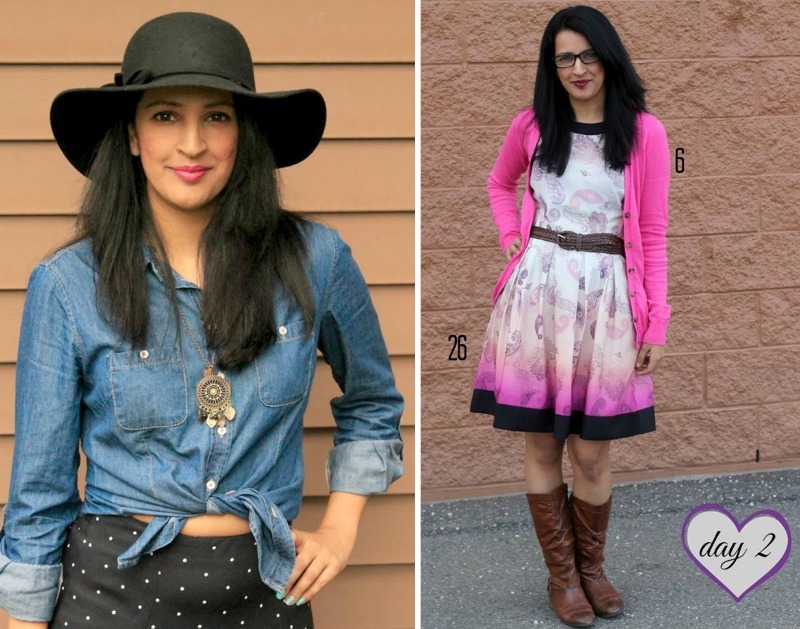 I’ll be posting my outfits every Wednesday and adding a link-up option also. Be sure to follow me on Instagram to see daily posts as well. My lovely co-hosts: Check out their posts and also visit these amazing mamas and show some love k? Shawna from Dovetail Blog, Taslim from Let Me Out Creative, Margarita from West Coast Mama, and Salma from The Write Balance. Perfect timing! I’m very much going to enjoy following along with you this month. I’m just in the process of putting together a capsule wardrobe for myself as well. I have a few more pieces than 30 but I’m going all the way through until the end of December. I cleaned out my closet this weekend of all my other stuff and moved it into storage and already I feel so much lighter and like it’s so much easier to get dressed in the morning.